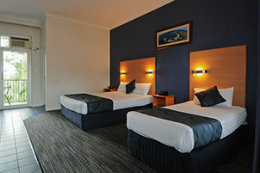 The Sanctuary Resort Motor Inn Coffs Harbour has 37 Spacious Rooms all with Air-Conditioning, Austar & Wireless Broadband. Our Licensed Restaurant & Bar are open Mon-Sat from 6pm. We have a 15 metre Swimming Pool with a Waterslide (currently under maintenance), Sauna (currently under maintenance) & Tennis Court. Our Cancelation policy is 48 hrs prior to checkin which is 2pm. 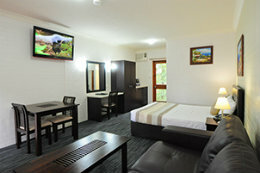 Queen rooms are newly renovated with 42" LCD TV.Enjoy a full buffet breakfast for only $18 per person in the stunning Treehouse Restaurant. 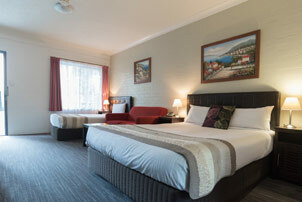 Superior King rooms are newly renovated with new king bed & 42" LCD TV.Enjoy a full buffet breaky for $18 per person in stunning Treehouse Restaurant. Sofa Bed $20 extra p/p. 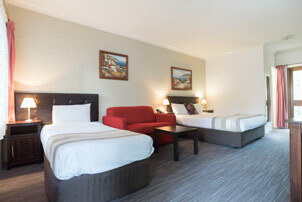 Superior Queen rooms are newly renovated with 42" LCD TV.Enjoy a full buffet breakfast for only $18 p/p in the Treehouse Restaurant. 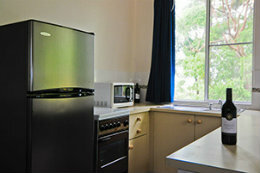 Superior Family Room with 1 Queen bed, 1 single bed and 1 single sofa bed, 42" LCD TV FREE FOXTEL and WiFi, dinnig table, hairdryer, ironing board, tea & coffee facilities and Private Balcony. 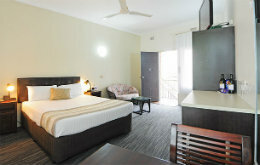 Superior Queen rooms are very spacious with 1 Queen bed & 1 Single, 42" LCD TV FREE FOXTEL and WiFi, hairdryer, ironing board, tea & coffee facilities, Dinning Table, Desk and Private Balcony. 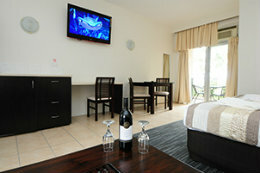 King Spa rooms are newly renovated they are spacious with a 42" LCD TV , King size bed & new 10 jet relaxing spa. FreeWifi and Austar. 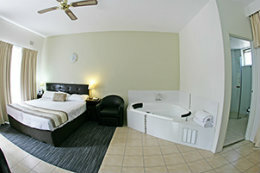 (Please note some spa rooms have the corner spa in the bathroom).